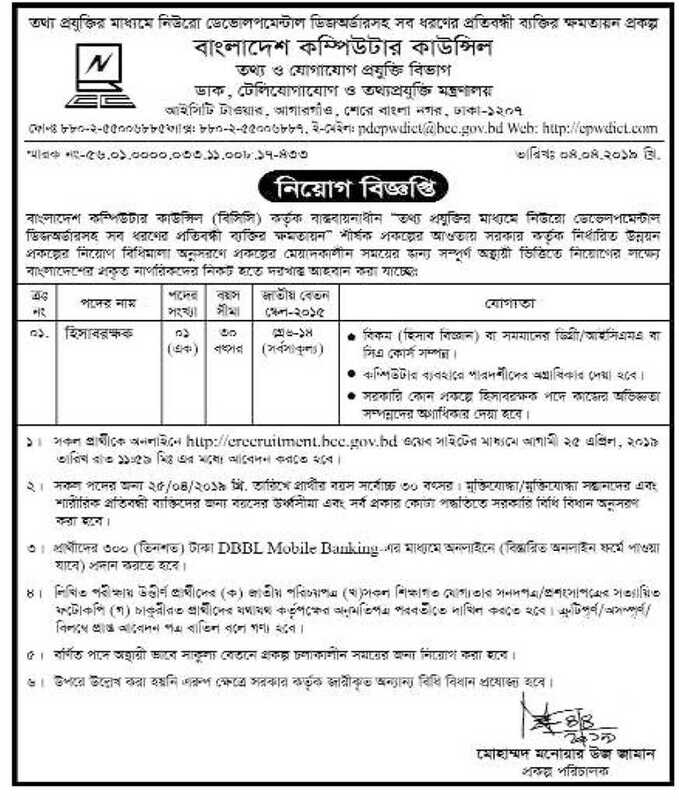 Ministry of information and communication technology job circular 2019 has been found on my website. Bangladesh Computer Council (BCC) is a statutory body under the Ministry of Posts, Telecommunications and Information Technology of Bangladesh. Bangladesh Computer Council main activities are (not limited to) encouraging and providing support for ICT related activities, formulating national ICT strategy and policy.